The Metalcraft 'Modena' Tile is the latest addition to our range of metal tiles and accessories. 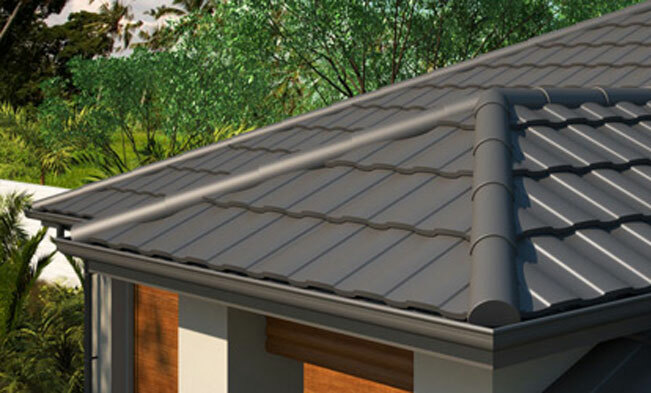 The Modena Tile is the result of an extensive research, analysis and design process to produce an attractive, functional and durable lightweight tile.The Modena Tile is an eye-catching option that affords the look of a heavyweight tile roof but eliminates the extra costs of reinforced roof trusses necessary for heavyweight roofing. The Metalcraft Modena Tile is available in pressed Colorsteel as well as the stone chip finish to help you achieve the look you are after.